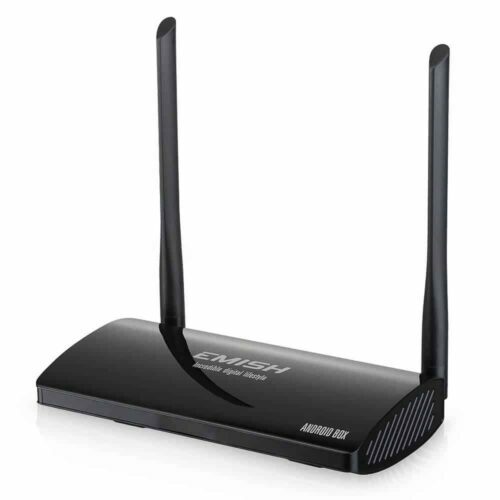 Two antennae sprouting from the back of the Emish X800, help it with Wi-Fi reception and make your experience better. Of course, this box has more than a neat CPU. In this Emish X800 review the first thing we notice is the presence of two antennae protruding from the device. These can be put in horizontal position behind the device, for a better storage. 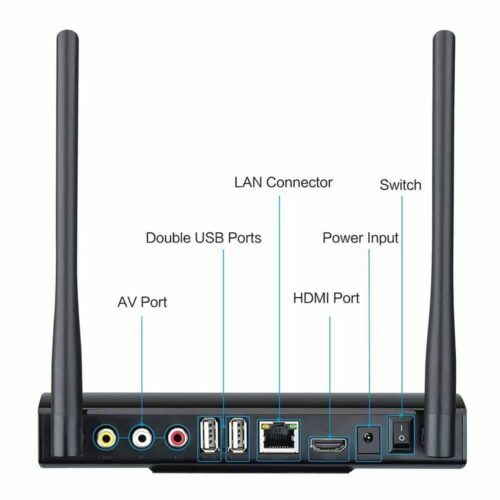 This box uses Android 5.1, and comes with Kodi for Android preinstalled, which is great if you want to jump straight to watching content. With addons such as YouTube Kodi addon and Phoenix Kodi addon, you can add lots of content sources right away, ready to be streamed. 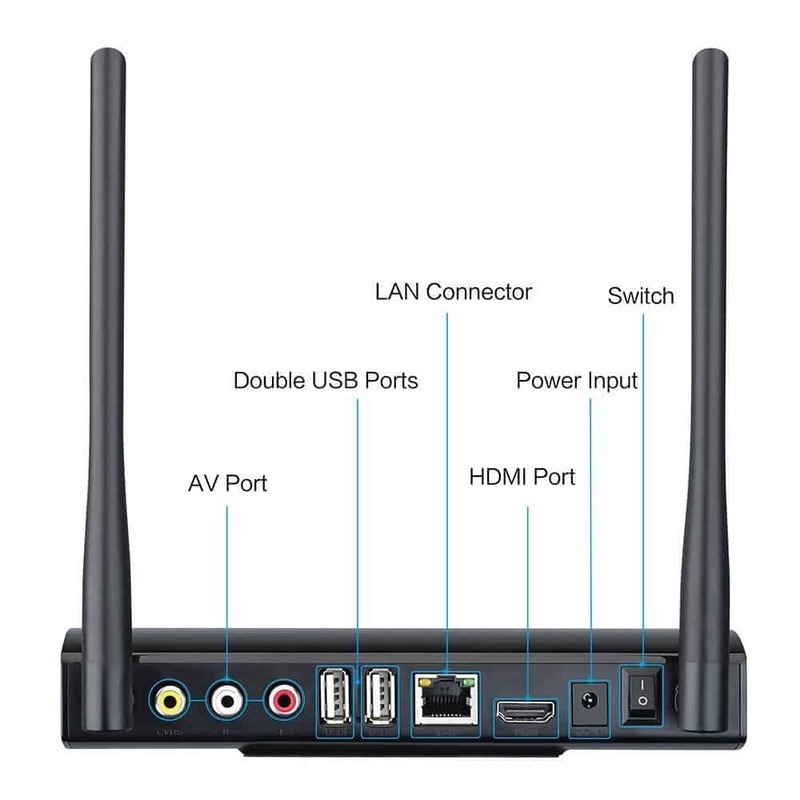 In regards to image quality, this box offers 4k UHD support, as well as support for HEVC H265. The Emish X800 could very well fit in our list for the best Android media players for less than $100, because it's going at about roughly 80 bucks right now. Is it worth buying? Well, that's a different story. Emish X800 review: Octa-Core? Miracast? AV Port? Several connectivity options, including an old-fashioned AV Port make the Emish X800 compatible with most devices and peripherals. 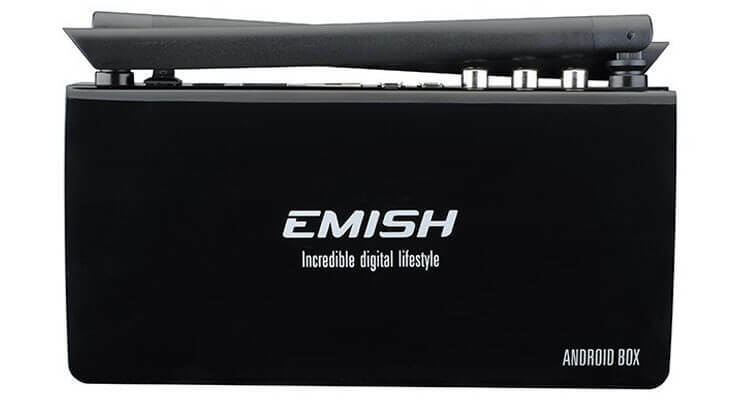 Emish X800 review: do you recommend this device? The Emish X800 comes with a remote and the necessary cables to connect it to your TV, no matter if it uses an AV port or HDMI input. In this Emish X800 review we have taken a look at a solid alternative for your HTPC in terms of features and price. 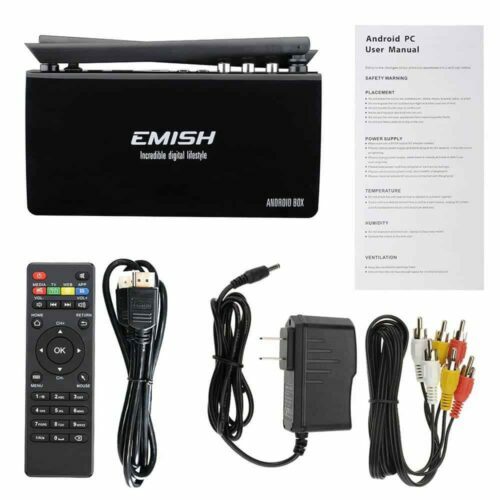 A box that offers 4k support, as well as other good selling points like a preinstalled XBMC/Kodi, the Emish X800 Android box offers the best experience when combined with Kodi addons for your enjoyment. Take a look at our lists with the 10 best Kodi movies addons or the 10 best Kodi addons for kids to know some of the options you would have at your disposal to expand your Emish X800 TV box capabilities if you decide to get it!